My name is Stephanie Yessayan and I work for a professional book editing marketplace called ServiceScape. We would like to write a review of your site and feature it within our “Need To Read Blog” section. I think your blog is a great resource and our clients would really appreciate it. We may have a couple of questions as we write the review, so I just want to make sure that you are available for an email or two if the need arises. Please let me know your thoughts. Thank you. I’m trying to wrap my head around the idea of my blog being a great resource. Wait a minute…. Wait…. …No, no, I just can’t imagine that. But, yes, I’m available for emails. I check my email several times a day, though not constantly. I lied, by the way. I check my email almost constantly when I’m at home. Such a liar! How cool is that? Way, that’s how! 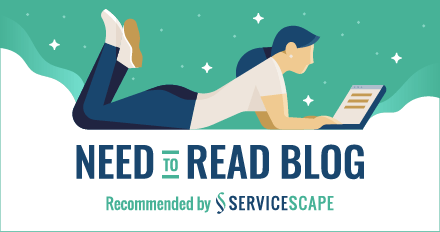 So I recommend ServiceScape in return, because they actually have real writer resources on their blog! Like Two Ends of the Pen, which has swell articles on it like this one by a symbologist decoding the legend of King Midas. Don’t worry: I won’t let it go to my head and start posting genuine content. It’ll be the same old free-for-all around here it’s always been. Tomorrow’s Caturday, as usual. A WRITING PROMPT FROM ME TO YOU: A character is given an unexpected recommendation. This entry was posted in Friday Recommends, Writing. Tagged egoboo, writing resources. How exciting for your great work to be recognized! Congratulations!! I think of you as more than a resource. You’re an inspiration! Oh my gosh that is exciting! I’m thrilled for you! Of course your blog is a “need to read”! one! I read very few writer blogs and your’s is one of those few! Well OF COURSE you’re a resource! For pity’s sake! 😛 Congratulations on your influence!